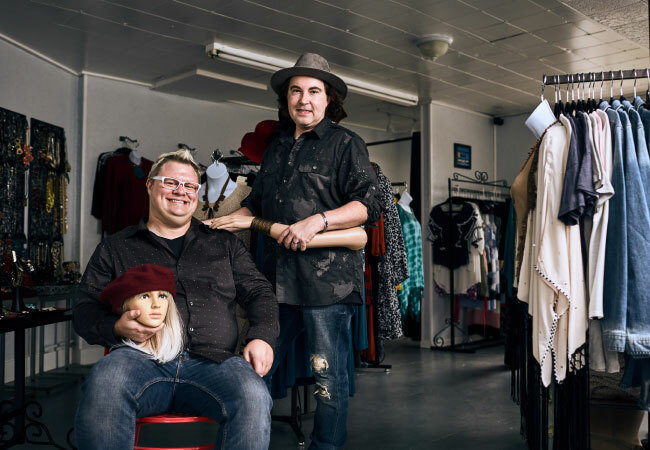 With custom-dyed garments, hand-made jewelry and styles for every size and budget, Justin Keibler and Nathan Smothers manage to bring something new and different to Bardstown Road. The eclectic streetscape of Bardstown Road has a quirky new landmark near the Grinstead intersection. BAZ and BEA — with their gigantic windows framing lifelike, exquisitely-styled mannequins— breathes a breath of fresh air and creativity into the famously diverse retail offerings. Inclusiveness and artistic inspiration are everywhere you look: From the physically and racially diverse mannequins (“We thought it was important to find mannequins who reflected the diversity of our clientele”) to the spectrum of styles that range from flowy and bohemian to slinky and edgy… to accessories that range from hand-made wooden bangles to vintage-inspired hats. 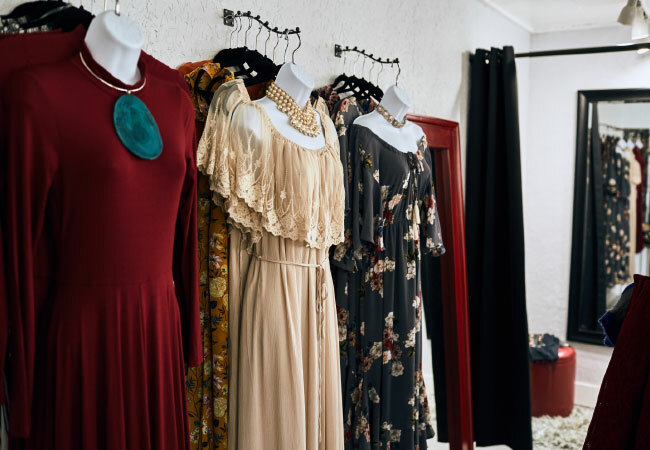 Many of the reasonably-priced wares are hand-made or hand-dyed by one of the co-owners, both of whom have backgrounds and educations in fine arts. “We never sleep,” jokes Justin. 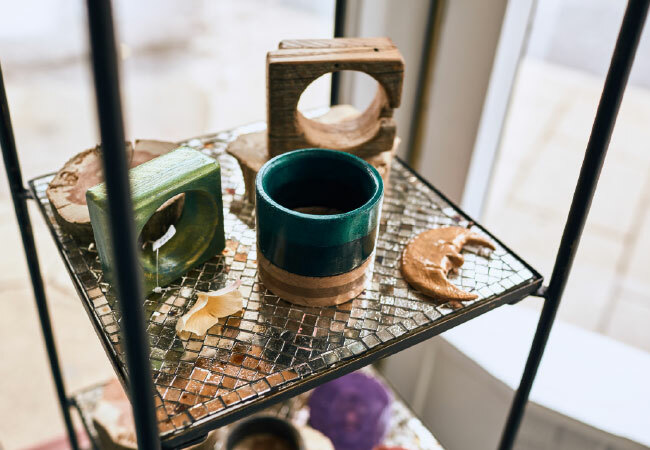 “We’ve created a studio in our home and we’re always in the middle of the next new project.” Justin makes striking hand-carved and hand-dyed wooden rings, bangle bracelets and necklaces. 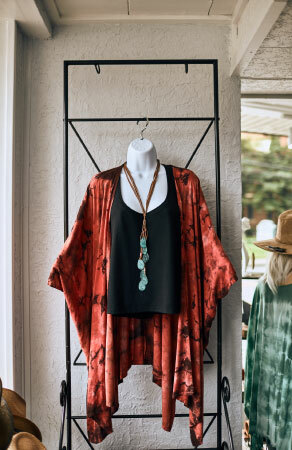 However, both custom-dye their core collection of dyeable pieces—including a fringe poncho, $68; step-hem tunic, $48; palazzo pants, $52; kimono jacket, $72; and their signature Ruana wrap, $54 which can be worn three or four different ways. BAZ and BEA is located at 1433 Bardstown Road, 502-365-1029, and is open 11 AM to 8 PM Monday through Saturday, 12 to 5 PM on Sunday and closed on Monday. Go to bazandbea.com for more info.